B0782. 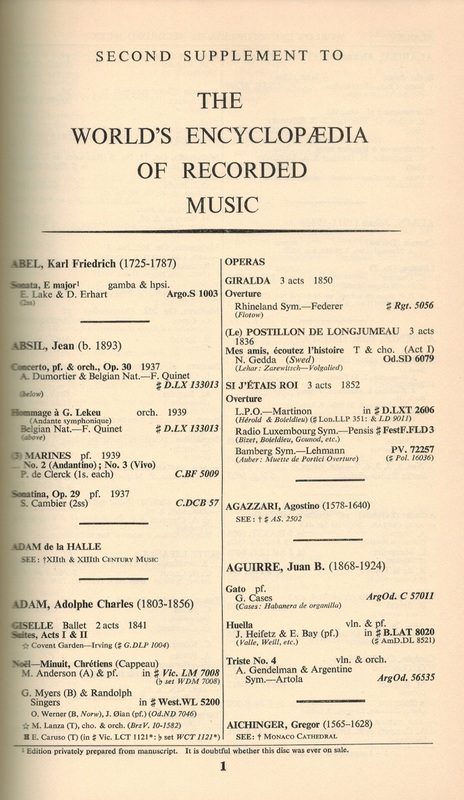 THE WORLD’S ENCYCLOPEDIA OF RECORDED MUSIC, Vol. II (WERM) CLOUGH & CUMING. 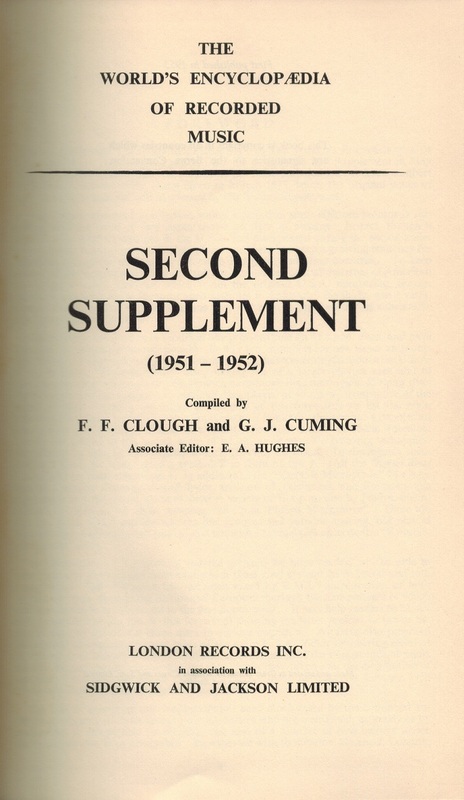 London Records & Sidgwick-Jackson, 1953. 262pp.